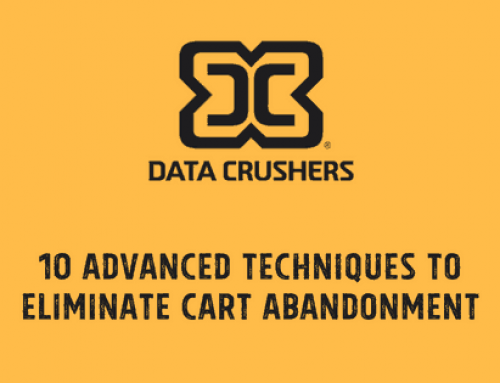 Here on the Datacrushers blog, our focus is to highlight the tried and true ways of reducing cart and site-wide revenue abandonment. This is because there is an endless number of methods and tactics eCommerce retailers can deploy to achieve this goal. Hence the focus of this article is on Fintech, and its role in reducing cart and site-wide revenue abandonment. When it comes to the world of eCommerce, retailers are constantly on the lookout for new and innovative ways to reduce cart abandonment and recover revenue. However, there is one aspect to this pursuit that is frequently overlooked – how shoppers pay for products and services. That is why this article will take a deep look at the role Fintech is playing in the world of eCommerce. Before we can answer the “what” let’s understand the “why.” Why is Fintech playing an ever-increasingly important role in the world of eCommerce retail? Research indicates that a full 12% of cart abandonment is attributable to payment-related issues – namely the non-acceptance of shoppers preferred payment method. Think about that, a full 12% of shoppers who make it to the end of the sales funnel cannot convert because of an issue beyond their control. How crazy is that? While most every eCommerce site accepts Visa or Mastercard, not all of them take PayPal, Discover or American Express – to name a few popular payment methods. There are countless reasons why a shopper might prefer to use one payment method over another, but that’s not the point here – the simple fact is that if a shopper can’t make a purchase, not only is that a sale lost – it’s a potential revenue stream a business will never be able to benefit from. Now We Can Proceed to the “What” Part of Our Original Question. So, what exactly is Fintech? Fintech is a short way of saying “Financial tech” because it refers to any financial service using cutting-edge technology to speed up the process of financial transactions and payment verification. In laymen’s terms: Fintech is any technology that allows money to go from point A to point B very quickly – without a bank acting as a middleman between giver and receiver. When it comes to eCommerce, “point A” is the shopper, and “point B” is the retailer. Now, how exactly is Fintech helping eCommerce retailers reduce cart and site-wide revenue abandonment? By giving shoppers the means to finance important purchases – without maxing out their available credit. Seems simple enough, right? Well, that’s because it is. The major Fintech services all operate in a similar fashion – but well get to the particulars later on in this article. The important term to be aware of here is “Consumer-Loan Financing.” This is the term used to describe the act of providing shoppers with the means to fund important purchases. This is very different from a traditional cash-loan that one might get from a bank. This is because consumer-loan financing is not a cash-based loan. It’s a lot more akin to a wish-granting genie that allows shoppers to fund a specific purchase. This is especially important for younger shoppers who are wary of credit-card companies – let alone the idea of taking a loan from a bank. With consumer-loan financing, shoppers do not need to sign up for brand new credit-card just to take advantage of a good offer. The general process works a lot like this – keep in mind that the process does vary somewhat by individual Fintech firm. This is a very “general” overview of the process. First, you need to start working with a Fintech partner. They will give you the tools to place their financing offers on product pages, and even at the point of sale on your website. 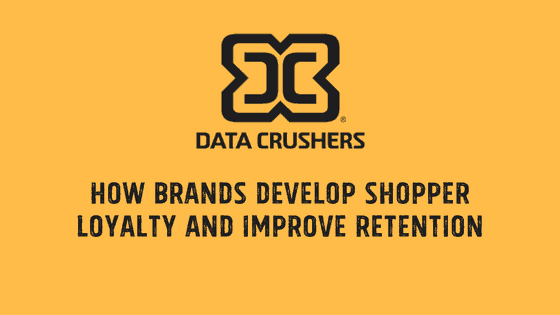 Furthermore, Datacrushers has a special integration with a number of Fintech firms to provide financing offers in cart abandonment emails as well! 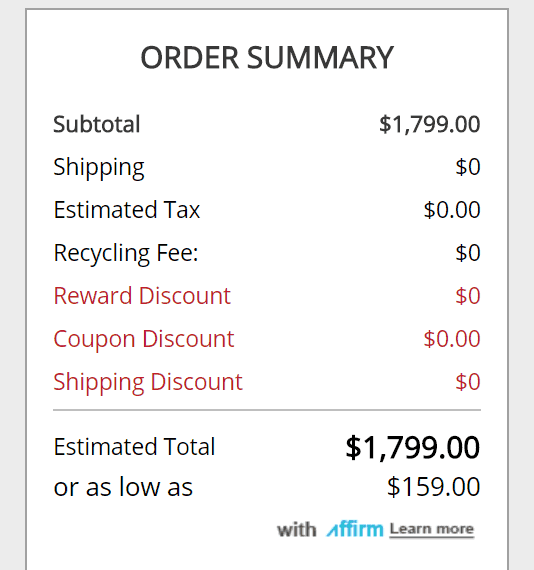 An offer from Affirm in a cart abandonment email. So once your product pages, checkout, and cart abandonment emails are properly configured, here is what happens next: When a shopper wants to make a purchase, especially for a high-value item, they will see a financing offer from your chosen Fintech partner on the product page or a site banner. The shopper simply needs to click on the offer to start the enrollment process. After a quick verification process, they get a text or email informing them if they are eligible (or not). And if they are approved, they will then be presented with the terms of the offer itself – meaning the total cost of the purchase over however many installments the shopper wants to pay for it. Many Fintech firms even offer an APR from as low as 0% at select retailers – which is incredible! An offer from Affirm at checkout. When it comes to cart abandonment emails, the enrollment process works the exact same way. The great thing about consumer-loan financing is that retailers are paid upfront for the purchase itself and do not need to worry about waiting for banks to verify transactions and the like. Now the answer to that is a bit more complex – but let’s break it down! Now we are going to highlight four extraordinary Fintech firms. While Datacrushers cannot, strictly speaking, endorse any single, specific Fintech firm, we can certainly highlight the ones we believe in. These are all excellent financial professionals who are changing the world of eCommerce. However, they each have a specific set of criteria when it comes to forming partnerships with eCommerce retailers. This fact is also true of the types of products they will finance, and how they go about doing so. Affirm: Founded in 2012 by Max Levchin, of PayPal fame. Affirm offers shoppers a “Buy for as low as” (ALA) payment option. ALA shows shoppers exactly how much they will need to pay for a purchase over anywhere from 1 to 12 monthly installments. Affirm works with both online and physical retailers, and the company has recently expanded to start working with travel agencies as well. Bread: Founded in 2014 by Josh Abromowitz. Bread also offers shoppers a “Buy for as low as” (ALA) payment option. ALA shows shoppers exactly how much they will need to pay for a purchase over anywhere from 1 to 48 monthly installments. Charge After: Founded in 2017 by Meidad Sharon. Charge After offers personalized consumer-loan financing which varies based on several factors. Their system works to match shoppers with the best possible offer for a purchase they are interested in making. SplitIt: Founded in 2008 by Gil Don. SplitIt is somewhat different than the other options here as this company uses shoppers existing credit-card to finance purchases and pay it over time with split payments with zero interest. SplitIt actually works directly with credit-card companies to initiate transactions. Because of this, shoppers can use this service without having to register for the service itself. Fintech is truly starting to take on a major role in the larger eCommerce narrative. By enabling shoppers to make large purchases with reasonable repayment terms, Fintech is greatly expanding the purchasing power of everyday consumers. This is a win-win for both eCommerce retailers and shoppers alike. None of the Fintech firms we mentioned require shoppers to sign-up for new credit cards, and they all offer apps to initiate easy online signup and payments from smartphones and tablets. So, if your eCommerce business has yet to form a partnership with a Fintech business, what are you waiting for? For more information on Fintech partners, check out the links below!